Special note: For those 5th graders or new incoming students out there, We encourage parents to take advantage of the excellent opportunity for you and your child to explore the Paul Revere campus and get to know some of Revere physical education staff. Give your child a head start on the next three years by signing up for Sports Mania Camp today! 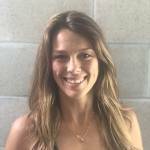 Brittany has been teaching and coaching on the westside for over 8 years now!. With her experience, credentials, and high energy she has become an integral part of Sports Mania! This will be Brittany’s 4th year as camp director. This summer you will find her all over campus, playing Revere-ball, planning tournaments and scavenger hunts, and leading tons of fun games and activities! Brittany is also a credentialed teacher who lends her experience and superb teaching abilities to the kids of Paul Revere MS -As a daily substitute teacher on the Revere campus, and a sports coach for the PEP after-school program- she never gets to go home!